Must see home on acreage! This is a brick home that offers plenty of space and privacy with approximately 7.78 acres. There is a huge workshop with overhead doors for added convenience. 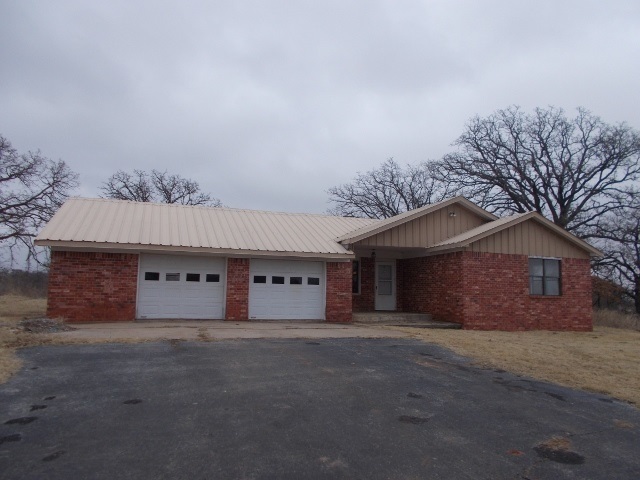 The home has a metal roof and a oversized 2 car attached garage and a storm cellar with access from the garage. The kitchen offers breakfast bar and tons of cabinets, plus there is a formal living area and family room.